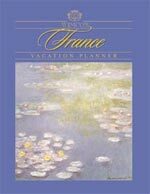 Wimco's France Vacation Planner is the ultimate resource for those looking to find the perfect villa or hotel accommodations in the south of France. This planner contains plenty of useful tips for travelers - where to find the best restaurants, outings and activities, plus basic information you'll need to know. Browse through a sampling of villas and select hotels and start planning your perfect France vacation!